Sluban Educational Block Toy India lets your child enjoy the best time of their life, their childhood at its best. 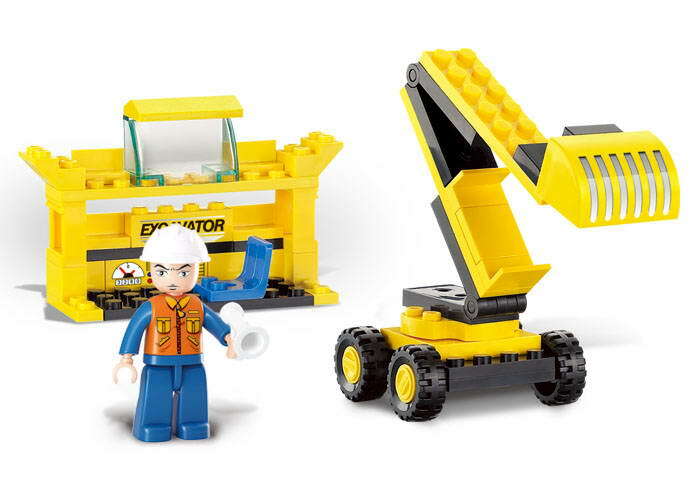 Sluban building block toys gives them the best means to enjoy learning and have fun at the same time. These building blocks are designed to increase hand-eye Coordination and to facilitate sharp observational skills in children. 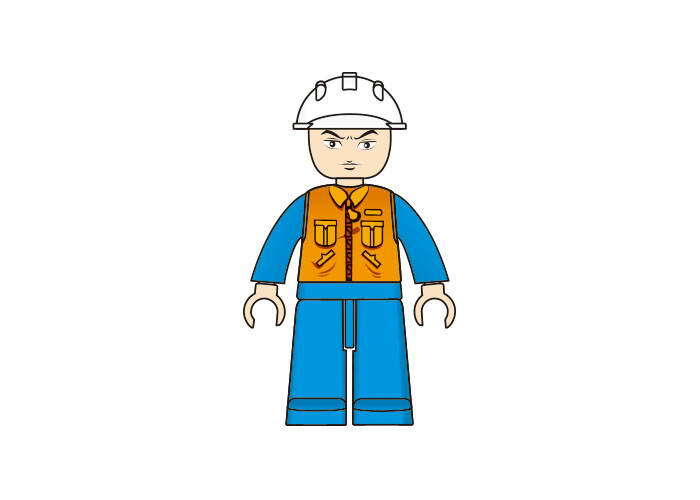 Another advantage of theseEducational Block Toy are that they are fully compatible with Lego building block toys available in India. Sluban Educational Block Toy are made of top quality, non-allergic plastic which are completely safe for your children. Apart from the attention to quality, Sluban Educational Block Toy India also invests heavily in innovation and design which is why it has become Europe’s favorite building block toys brand. Let your child to discover the challenging tasks that lay the foundation of a modern city. 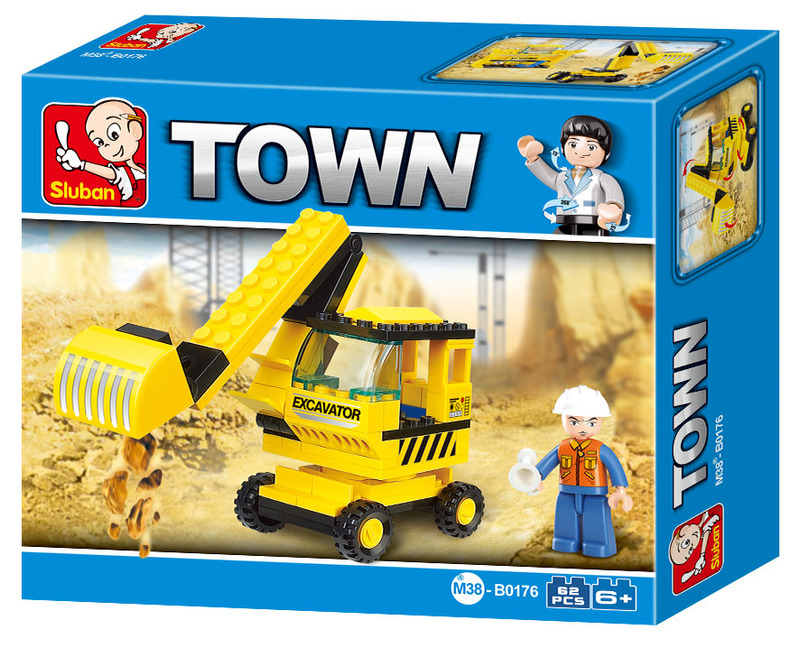 Sluban Educational Block Toy India introduces your child a tough task of building the base of the city. 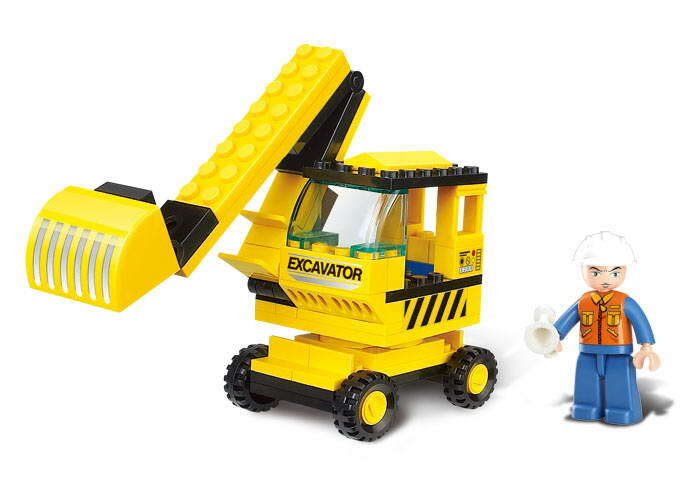 Sluban Educational Block Toy Excavator M38-B0176 building block toys’ set comprises 62 pieces of building blocks and one mini character supposed to operate this huge machine. This Educational Block Toyset is part of town theme based building block games which strengthens child’s cognitive skills and ensures better eye and hand coordination in them.